This unique perfume was most likely made for and used by a gentleman. 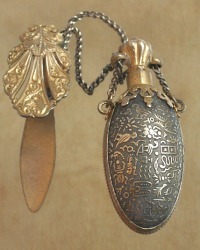 The egg-formed perfume bottle is made of gilded brass, it is covered with a design of hieroglyphics. The history of perfume during the Regency era is fraught with intrigue and romance, this bottle pays homage to that time. Charming and so decorative, it is rare to find these with their original chatelaine clips and chains, the stopper still has the cork, too! 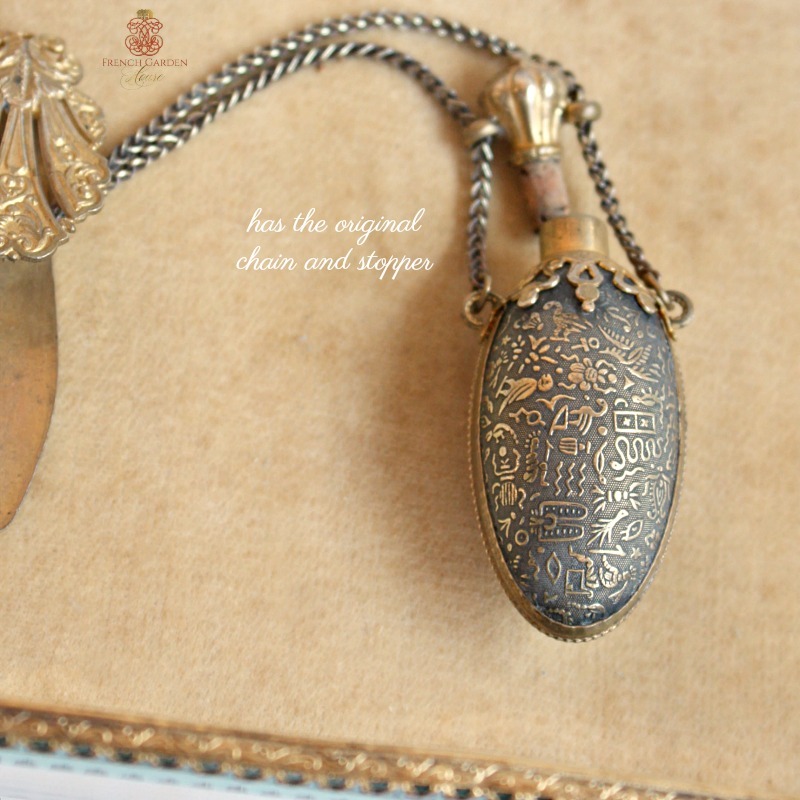 Display this with your antique perfume bottle collection, or use this as a pendant for a necklace of your own design and creation. 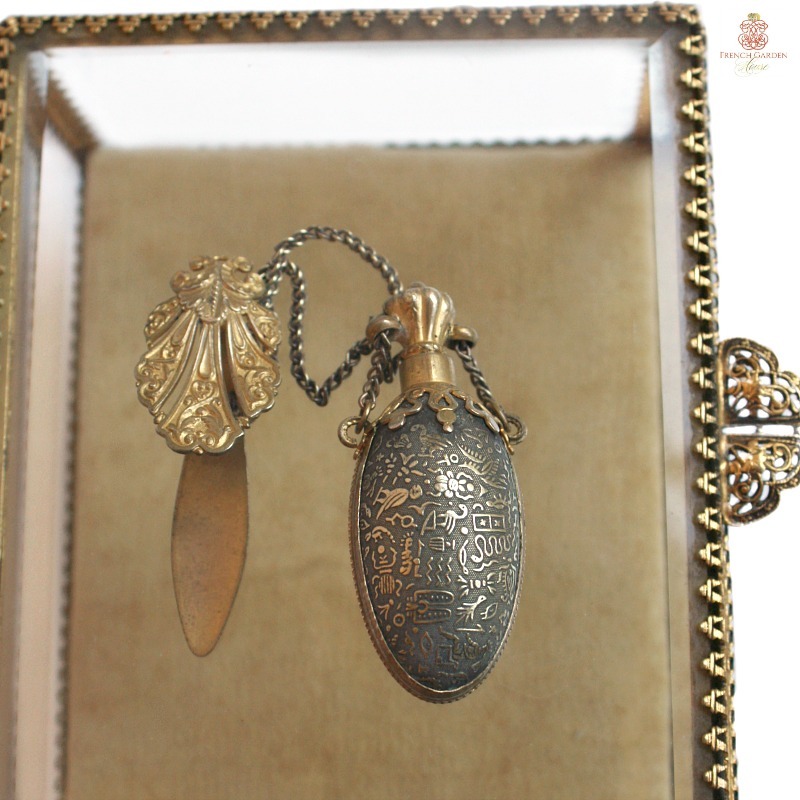 Doll collectors often use these as petit purses for their darlings, but I'd love to see it used in a gentleman's dressing room on display somehow! 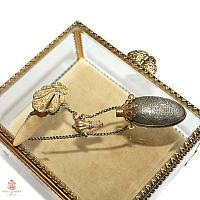 Ornate clip is gilt, this is a delight for your objet d' art display. 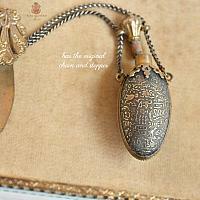 Measures: Pendant- 2-1/2" x 1-1/4" : from top of clip to tip of bottle 7-3/4"l.